Is there any doubt that this is the best time if the year for flavors? Every part of the last 3 months is fantastic. Cinnamon, nutmeg, allspice, clove, pumpkin, pecans, peppermint, yams, caramel, cranberries, pears, apples, and raisins. 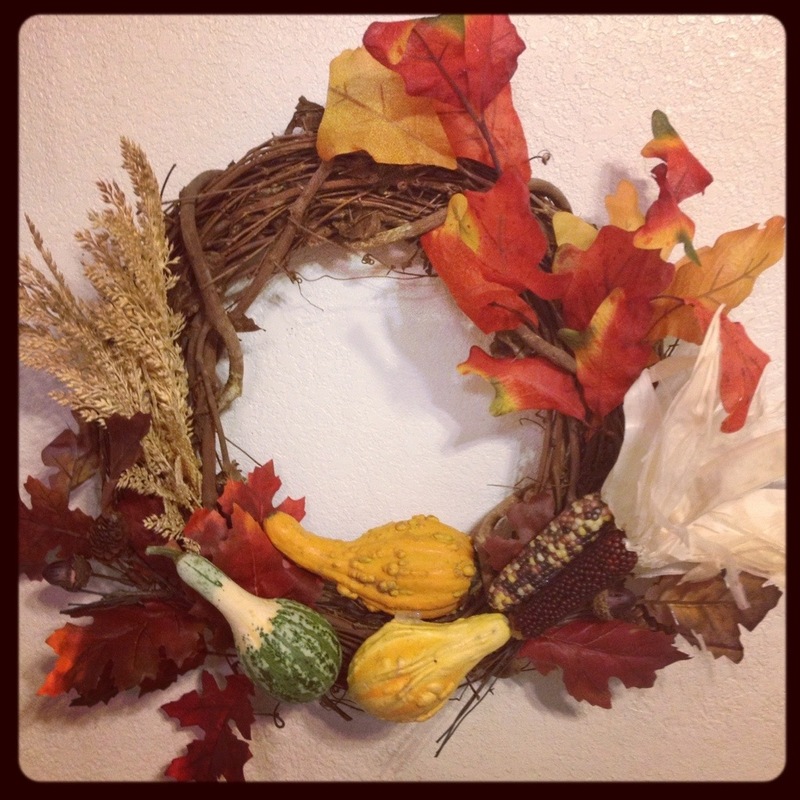 I even decided to spend a couple bucks on supplies and throw together an autumn wreath for our door, a first for me. Back to the matter at hand. 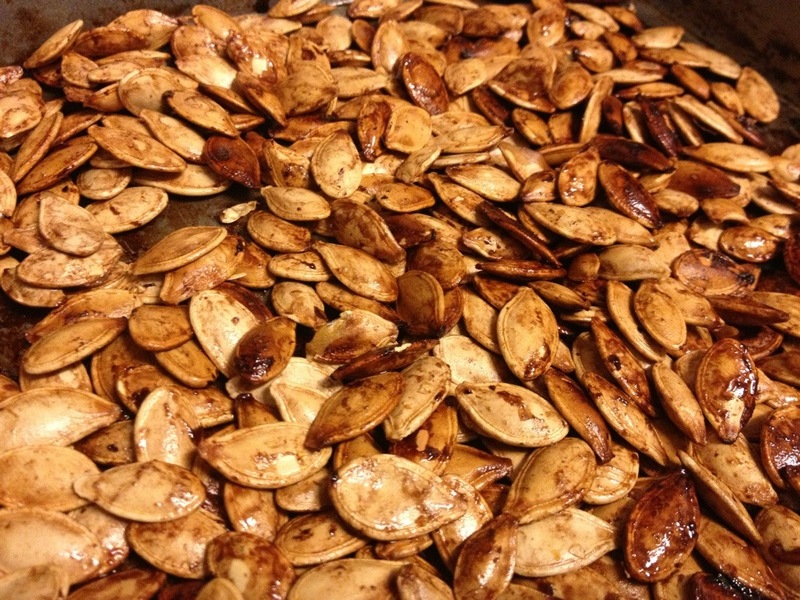 As a result of cooking up two and canning six pumpkin I had a huge bowl of pumpkin guts and seeds. I knew I wanted to keep the seeds. But the idea of spending an hour picking those slimy buggers out was not appealing. As I started taking the seeds out I tossed then in a bowl if water to rinse them off. That’s when I noticed that the seeds all floated. So I filled a stock pot half way with water. 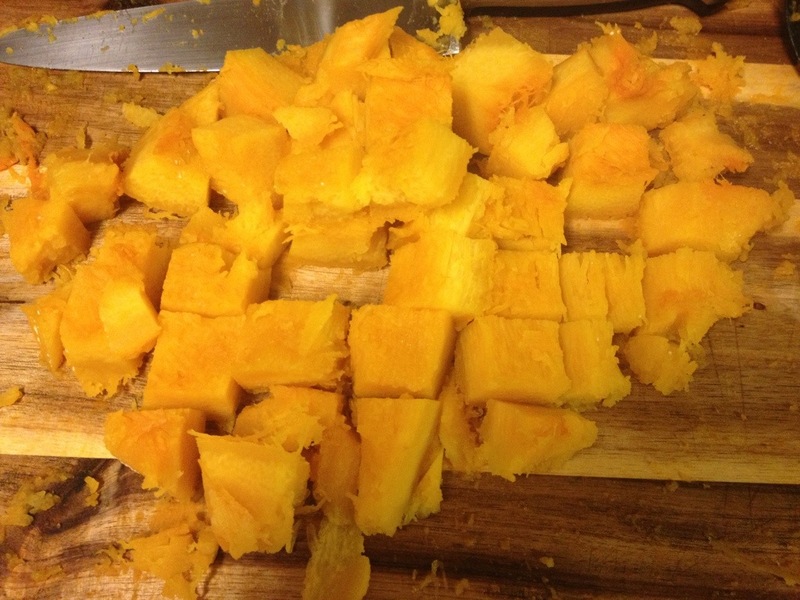 I grabbed a large handful of pumpkin guts, held them under water loosely, and vigorously moved my hand. Similar to the agitation of a washing machine. And sure enough, all the seeds popped to the top. 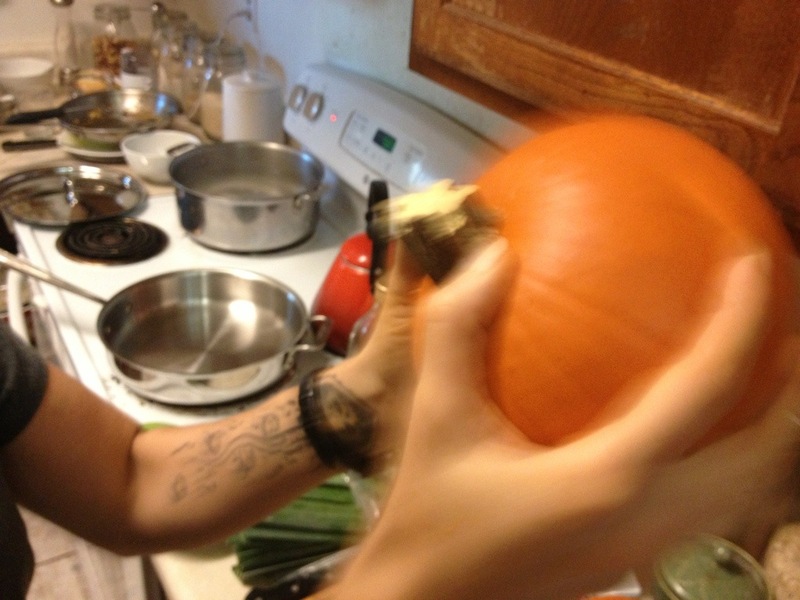 You can see that some of the pumpkin is floating as well. But those chunks were easy to grab and pull out. Most of the really stringy stuff sent to the bottom. 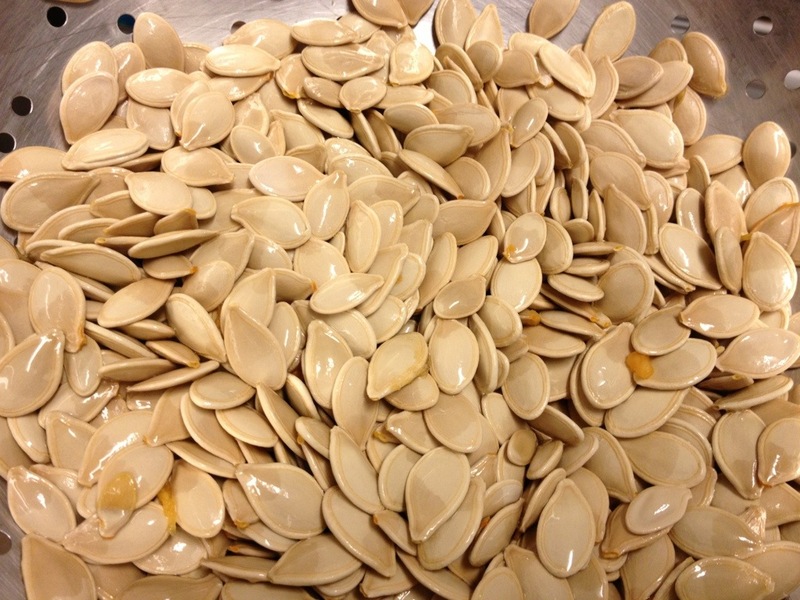 Then I just used a slotted spoon to skim the very surface to grab the seeds out. I’m sure I’m not the first person in history to figure this out. But it was a first time for me. And it definitely made things much easier. 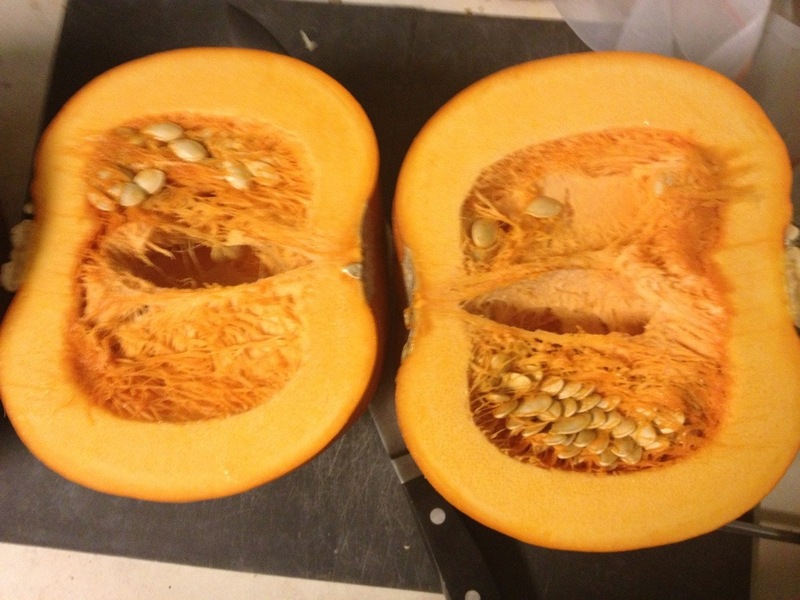 I was able to remove the seeds from eight pumpkins in less than 10 minutes. 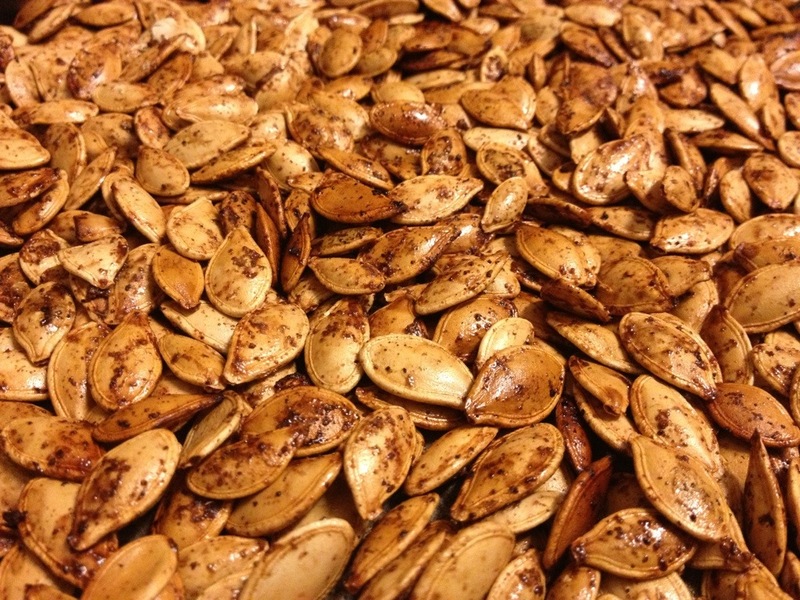 I decided to make four varieties if roasted pumpkin seeds. The procedure for each is the same. Rinse the seeds off to remove all of the pumpkin. Place the seeds in a bowl and drizzle with approximately 1 to 2 teaspoons of olive oil. 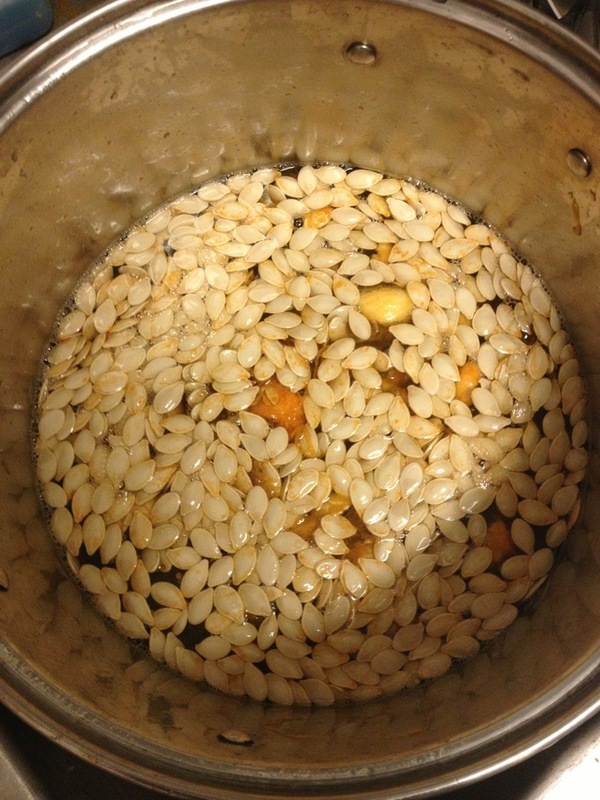 Use a spoon to gently toss the seeds to coat them with oil. 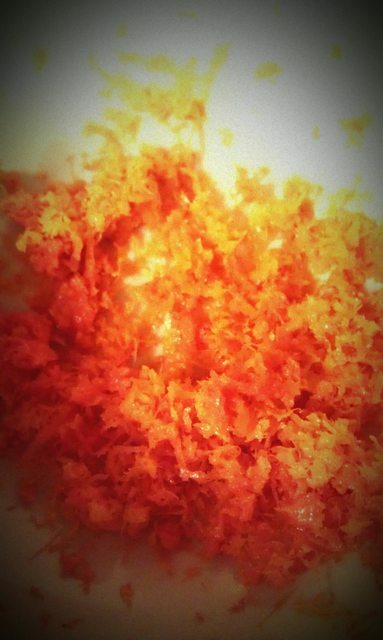 Then sprinkle on whatever topping you’re using as you continue to stir. Spread out in a single layer on a cookie sheet and roast at 350° for 30 minutes. 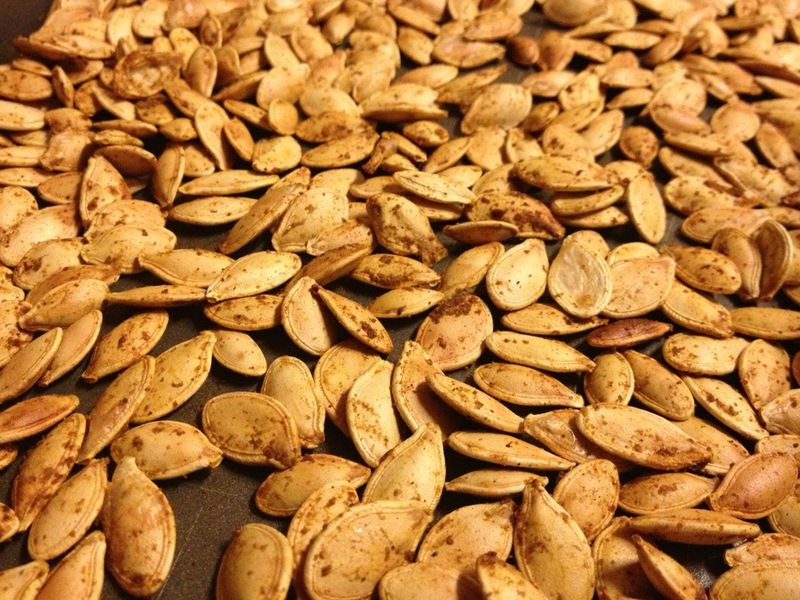 Use a spatula to move the seeds around once or twice during roasting to ensure that they are all evenly cooked. Cool and enjoy. 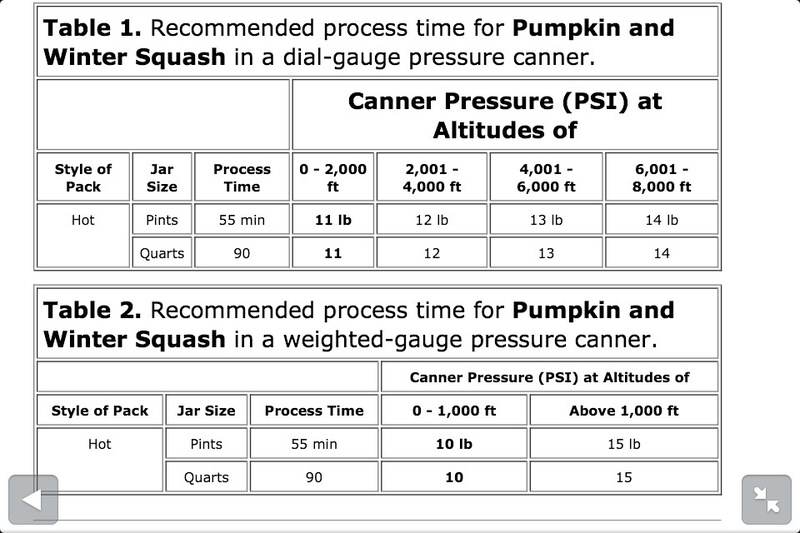 My wife has got to be the biggest fan of squash in the world. We’ve always got at least 3 varieties on the counter and she eats it twice a week. 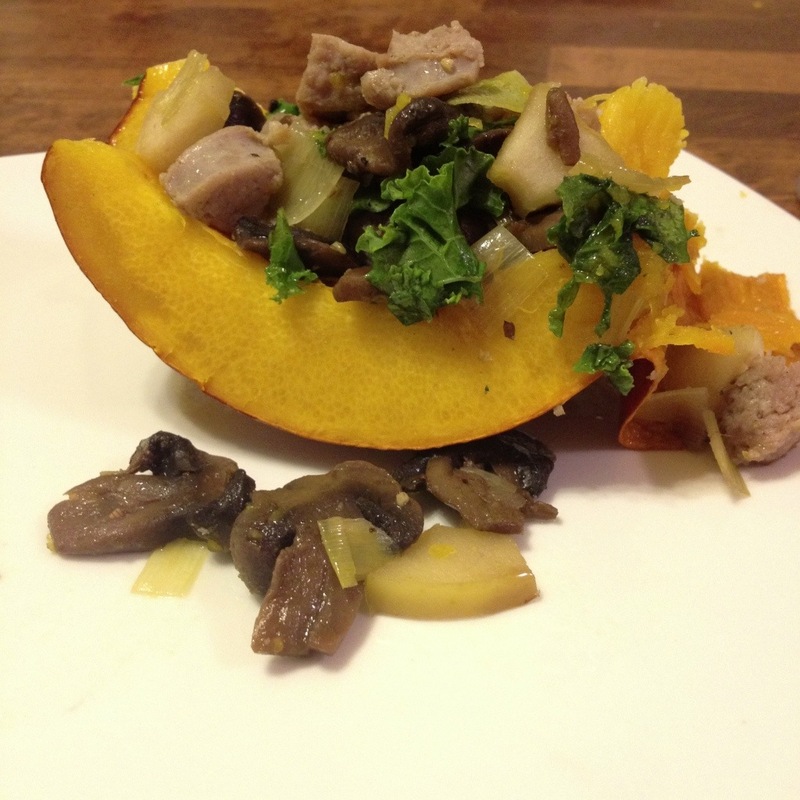 When the little pie/baking pumpkins came out she started looking for a savory way to serve them. Drop your sausages in a pan of water and boil to cook through. 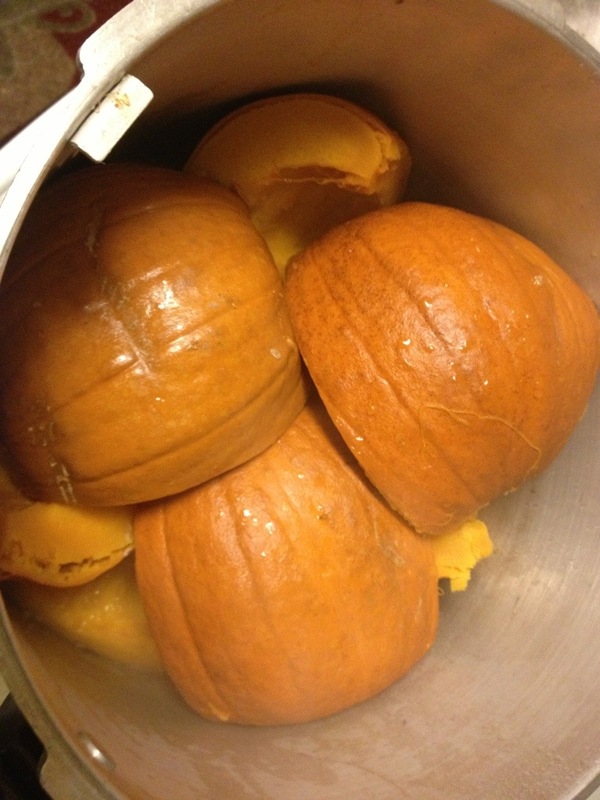 Clean your pumpkins. 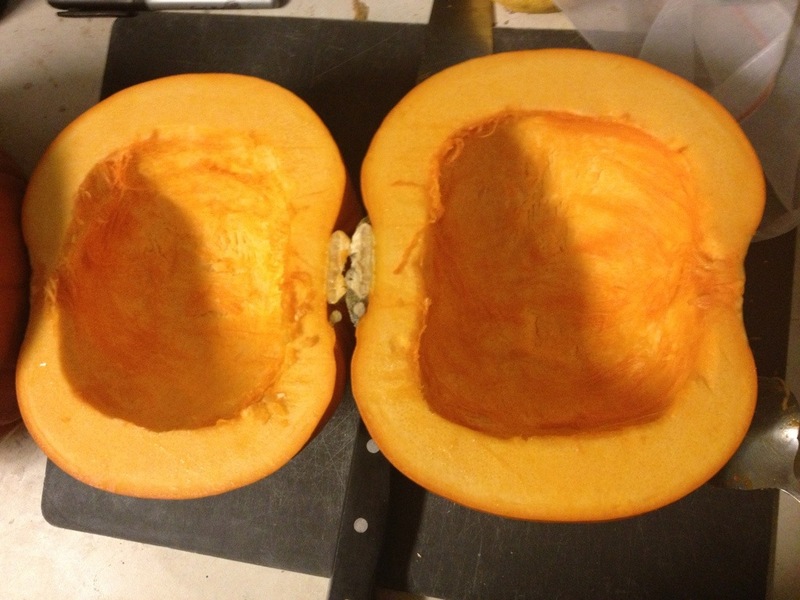 Then cut a hole around them, the same way you would if you were going to carve it. 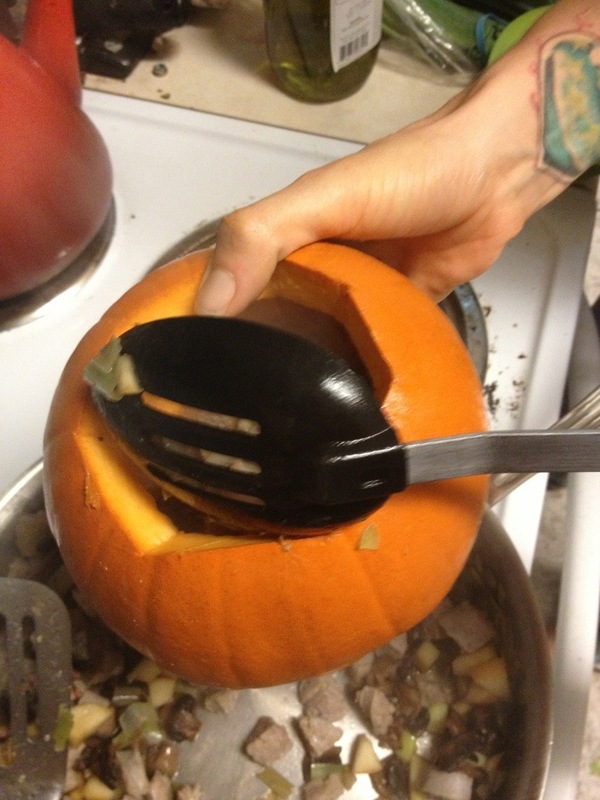 The use a spoon to scrape out the seeds and punkin’ guts. But be sure to save them for roasting later. 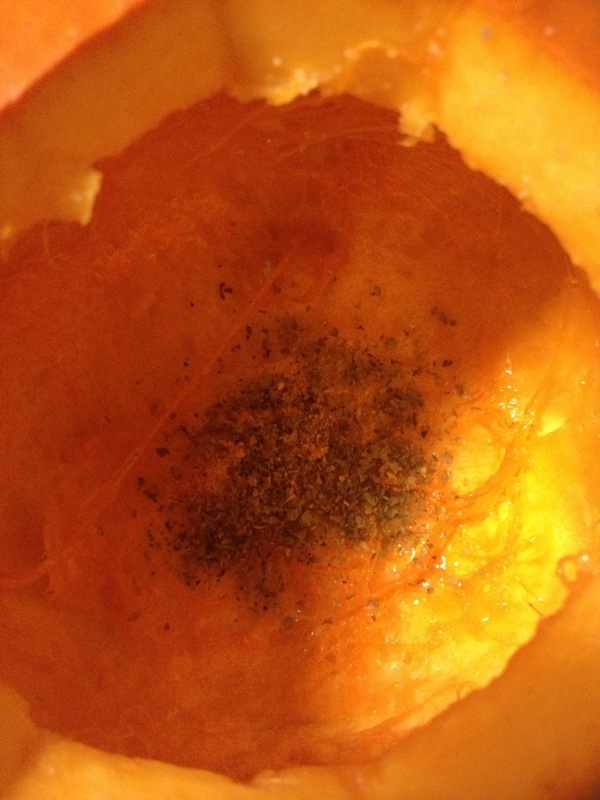 Drop 1/4t marjoram and salt and 1/8t pepper and garlic powder in to the cavity. Put the lid back on and shake to distribute. Photos now include real shaking action! 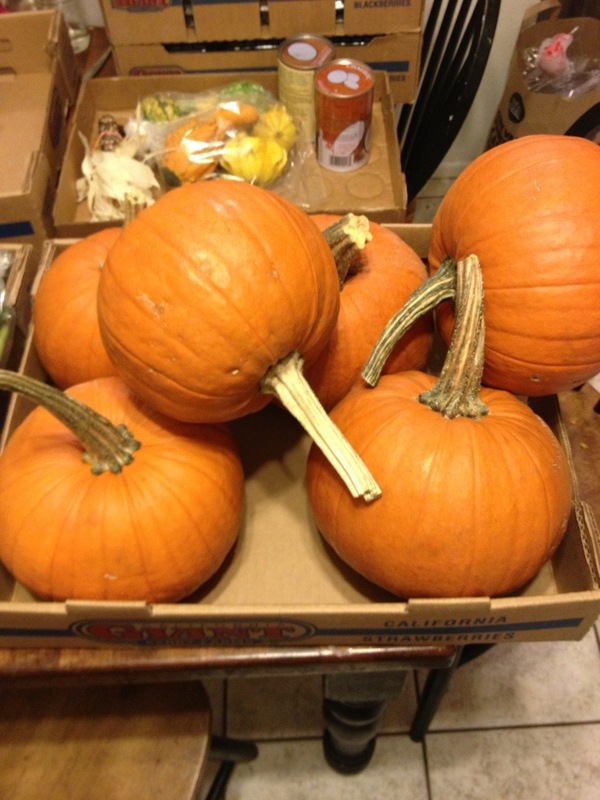 Set the pumpkins aside. 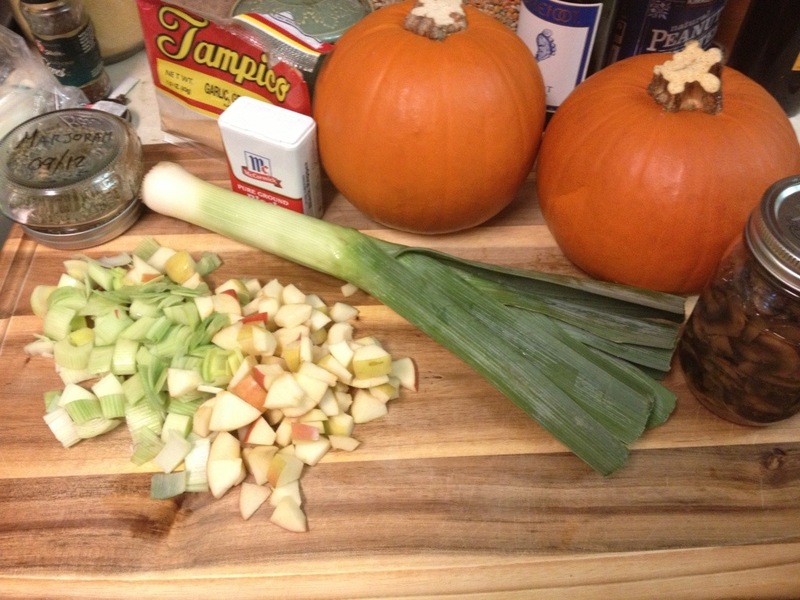 Chop your apple and leek in to 1/2″ pieces. 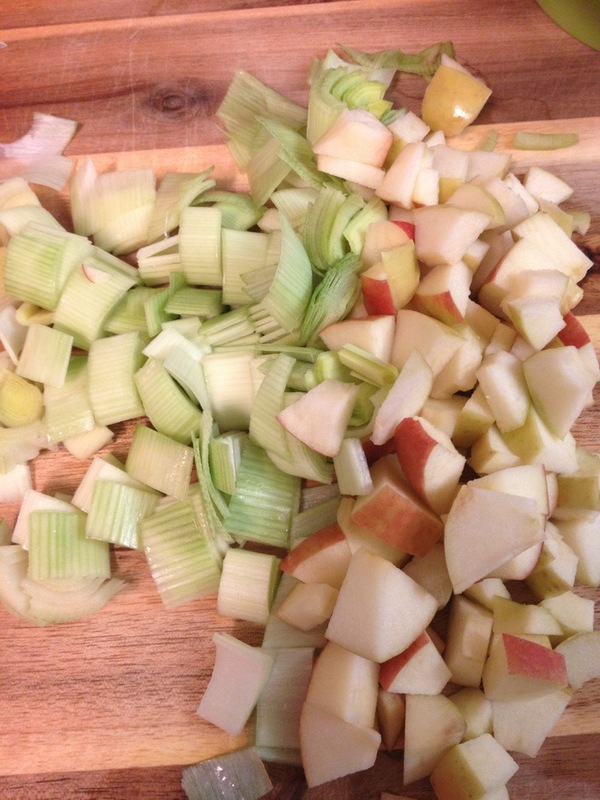 Sautéed the apple and leek in some olive oil until they begin to become translucent. 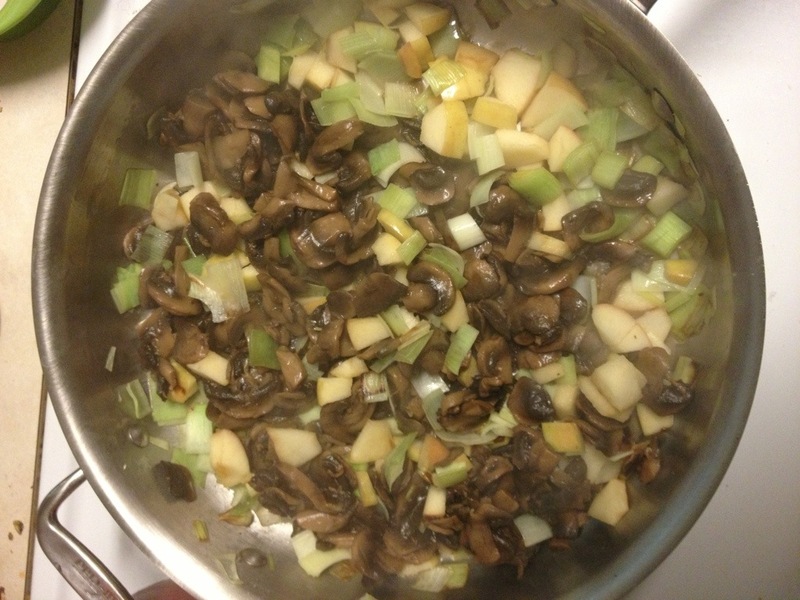 If you are using fresh mushrooms add them at the beginning to cook down. 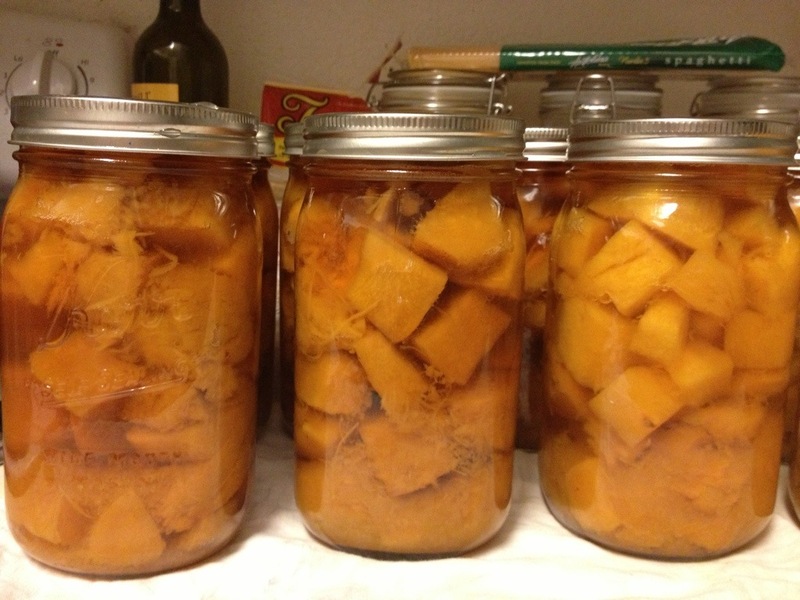 If you are using home or commercially canned add then after to prevent over cooking. 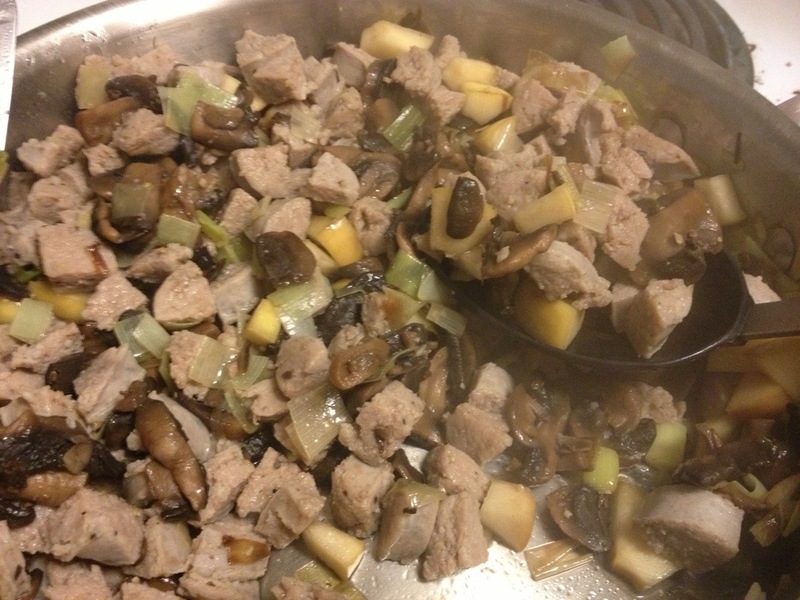 Add sherry to the pan and cook until the liquid reduces. Chop your sausages in to pieces and toss it in the mix. Cook everything until its heated throughout and the flavors have mingled. Salt and pepper to taste (most sausages are already pretty salty). 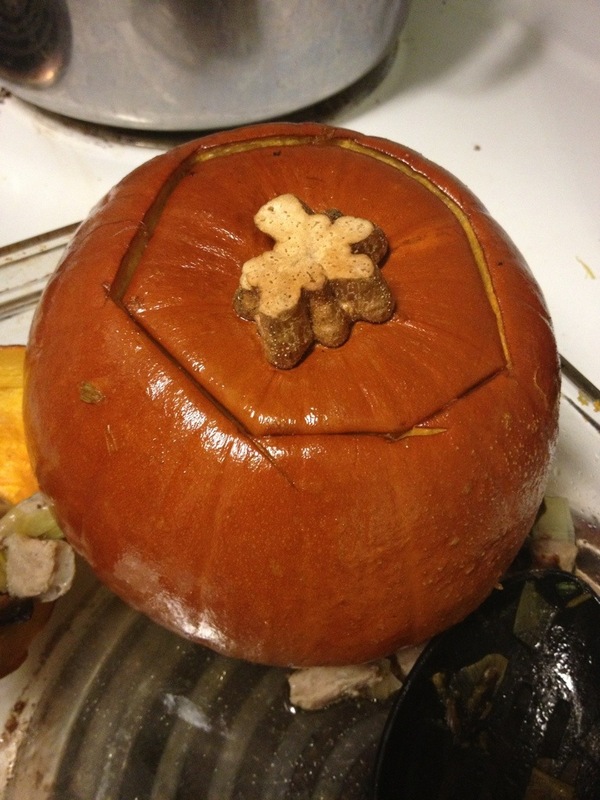 Open your pumpkins and stuff with the filling. 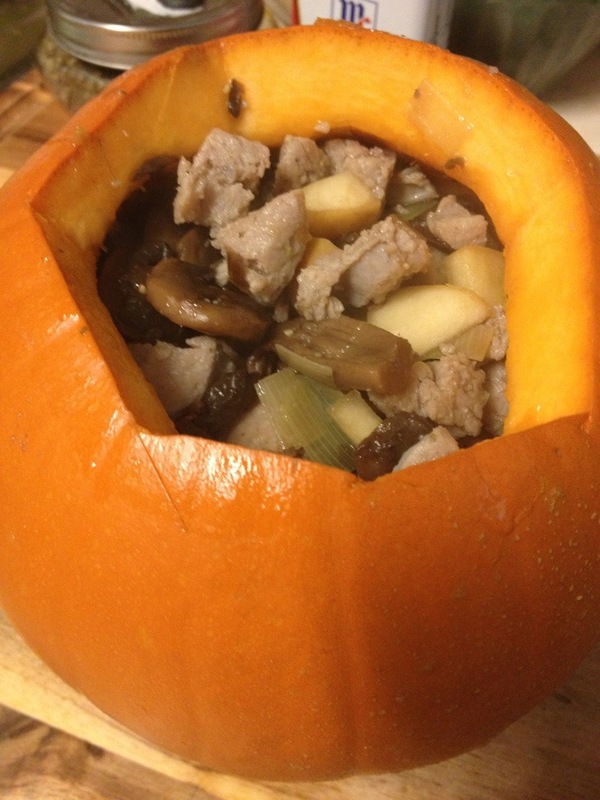 Or, fill with the stuffing. Your choice. Put those bad boys in a roasting pan and spray with olive oil. Or, if you need to, just drizzle and rub them all over. 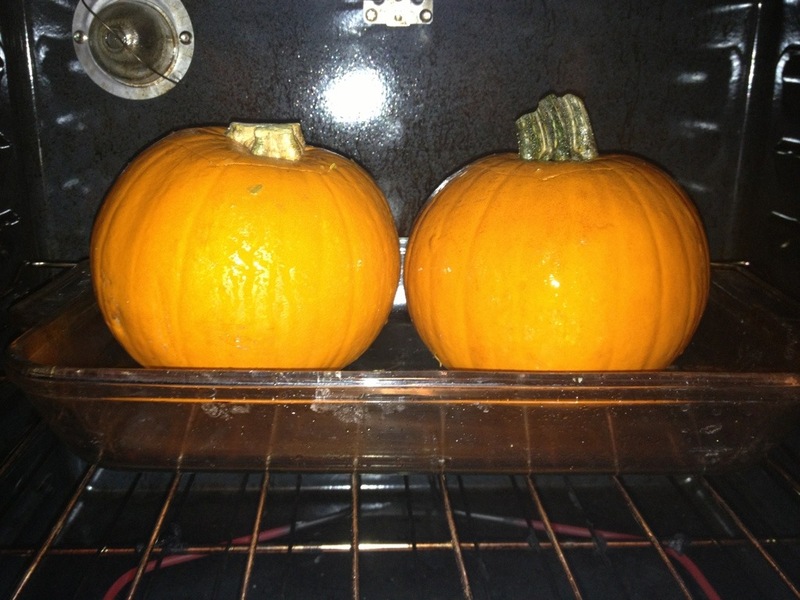 Pop em in the oven for one hour. After an hour the skin is nice and dark. 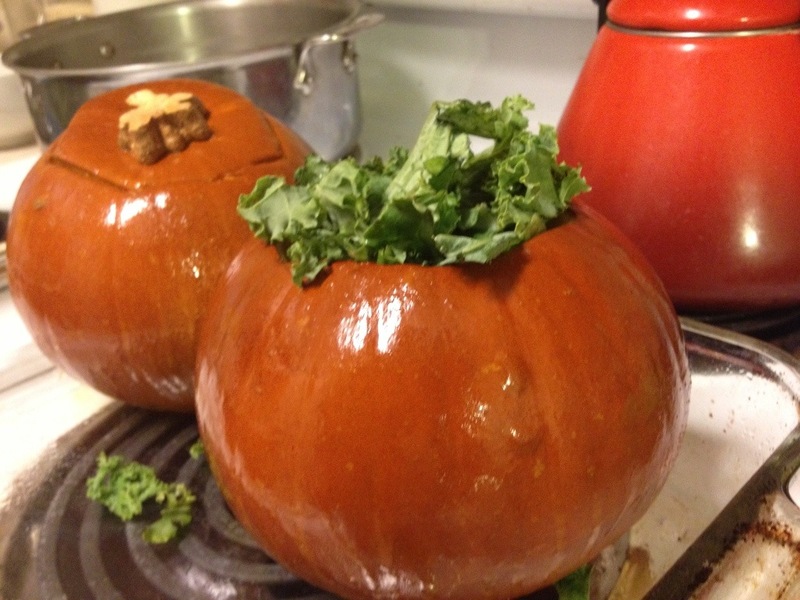 Carefully (they’re hot) remove the top and add 1 cup of kale to the pumpkin. Replace the lid and let it sit for 5 minutes. This is a great time to set the table. 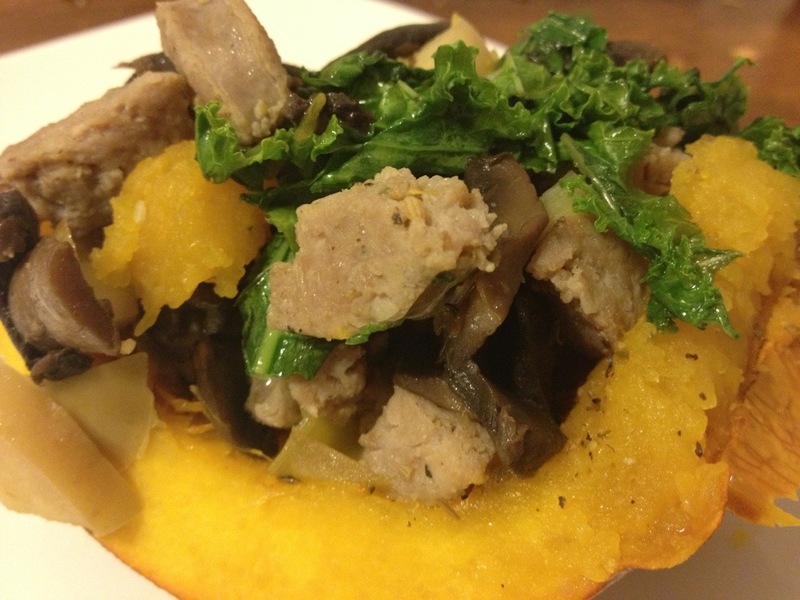 By the time you’re ready to eat the kale should be perfectly steamed. 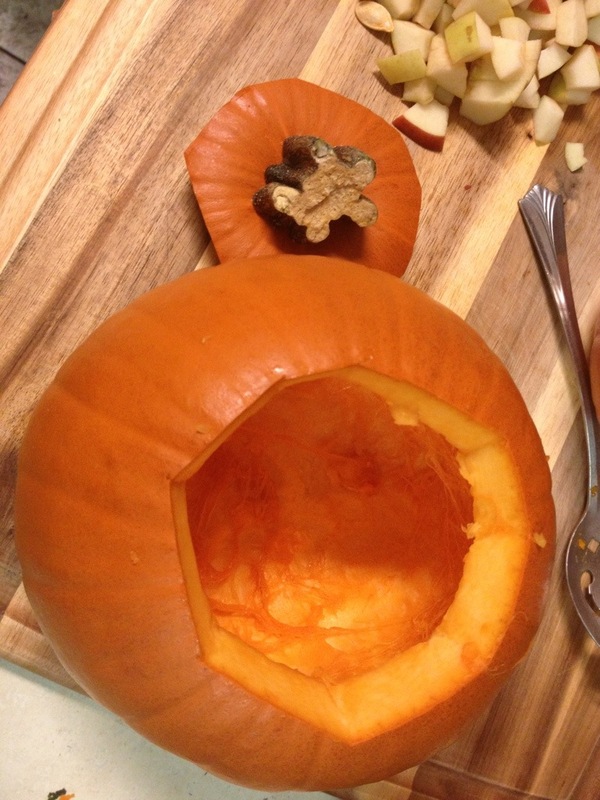 To serve we removed the lid, and then cut the pumpkin into 6 pieces. 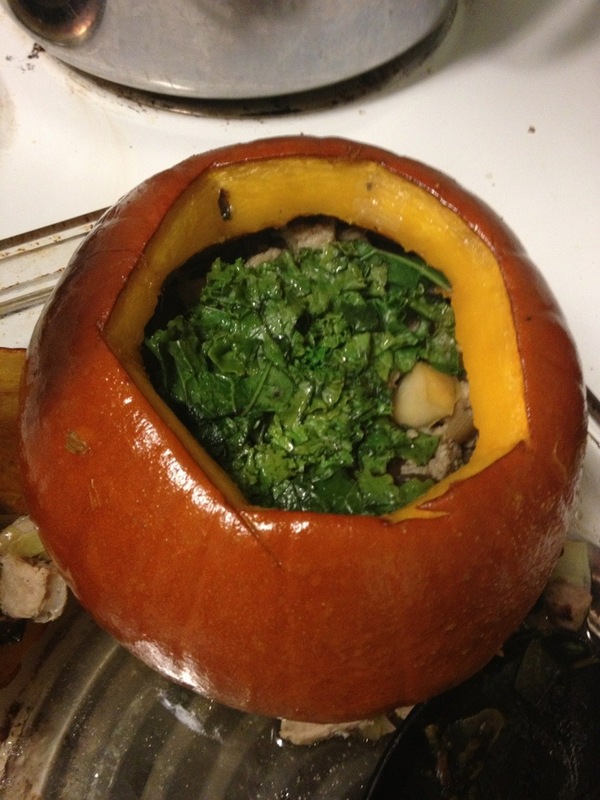 We tossed the stuffing together to mix in the kale. 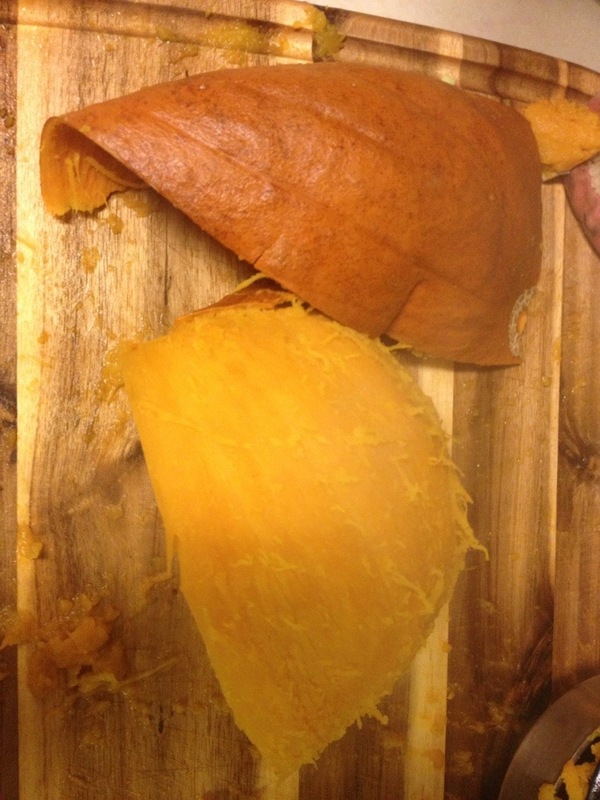 Then served one slice of pumpkin with stuffing on it. 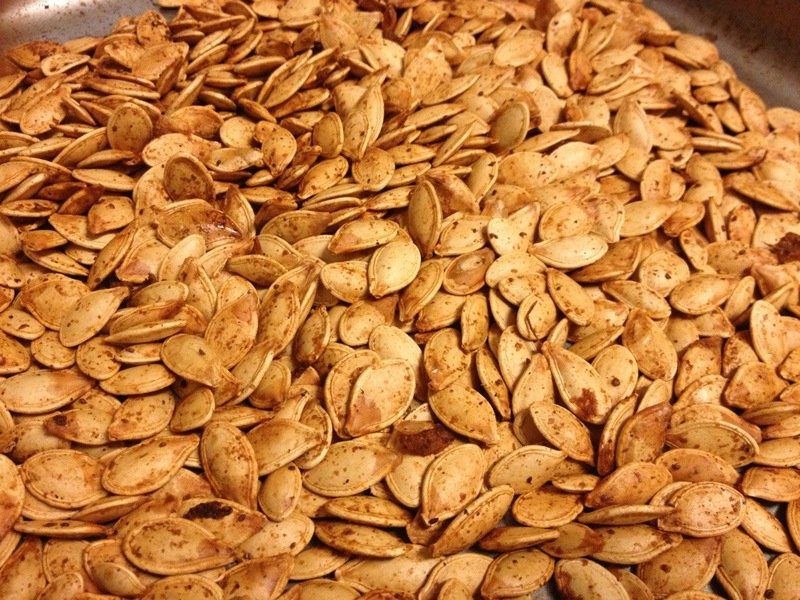 I found the pumpkin to be slightly under seasoned so I upped the salt in this recipe. My only complaint was that it didn’t feel like a whole meal (despite containing meat, veggies, and starch). Next time I’d serve it as a side to roast chicken with Brussels sprouts or something in the side. The flavors, however, were fantastic. 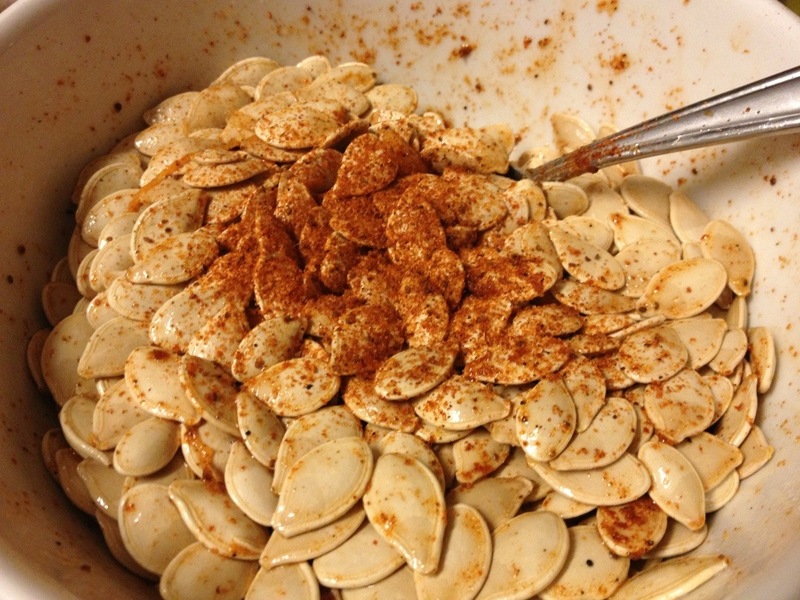 Definitely a fall side dish to make again. 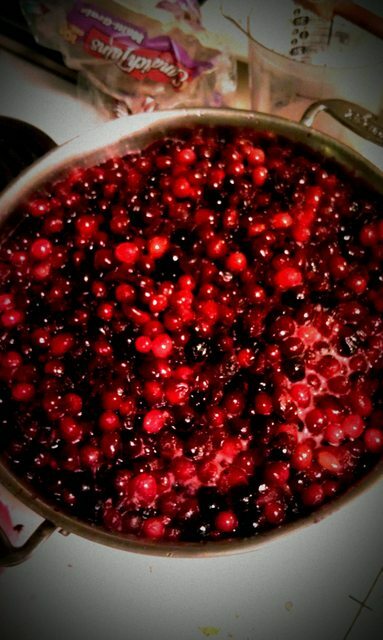 My wife makes a killer cranberry sauce. The recipe is an amalgam of various recipes that she’s tried or read over the last couple years. We’ve served this the last two Thanksgivings, and it’s a complete hit. After the Thanksgiving and Christmas season cranberries start going on sale as vendors just want to offload what they have left. Dess found them on sale for $1.49 a bag (half of what they were the week before Thanksgiving) and grabbed 7 of them. 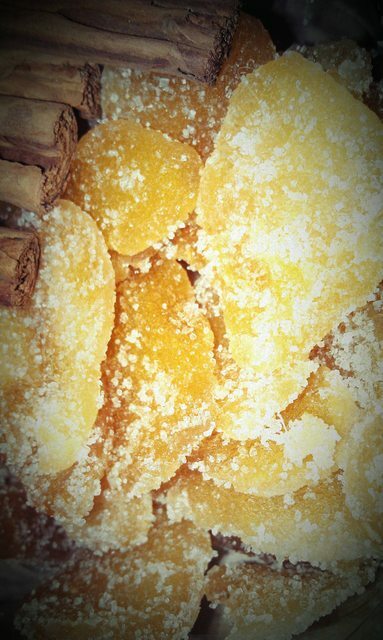 Combine the wine, Triple Sec, and brown sugar. Heat over medium heat until the sugar dissolves. Add the cranberries. 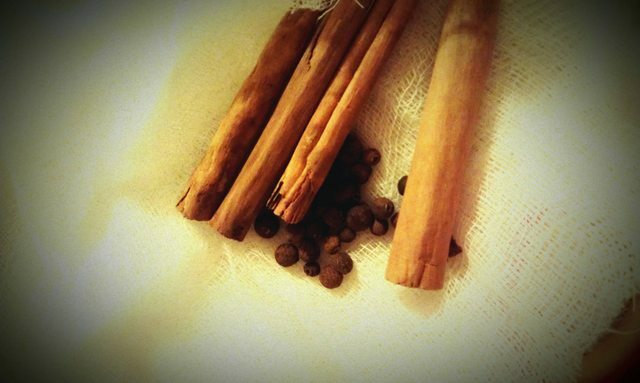 Place the Cinnamon stick and the Allspice Berries in cheesecloth and tie it off. Add the spice bundle to the cranberries and reduce the heat to a simmer. 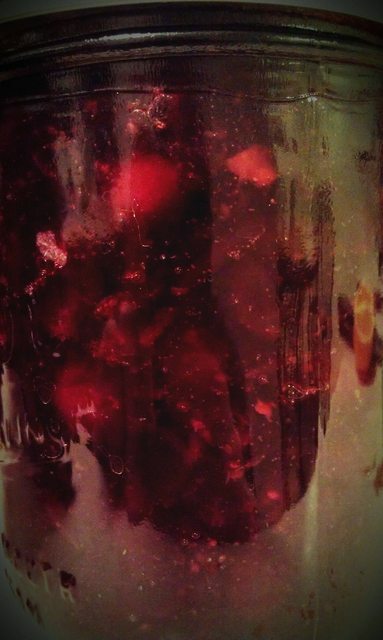 Simmer for approximately 15 to 20 minutes until the cranberries pop and the liquid thickens. 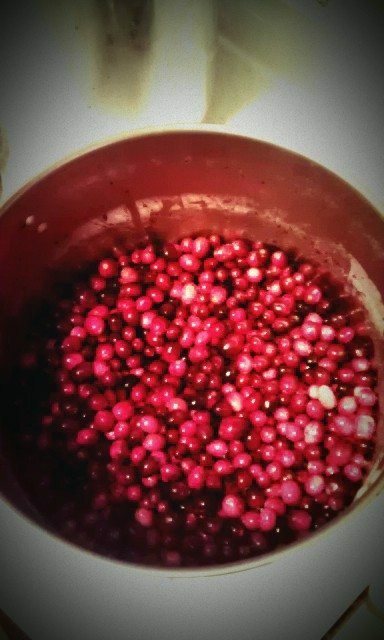 Sometimes we’re left with a couple dozen unpopped cranberries floating on top, and that’s fine. 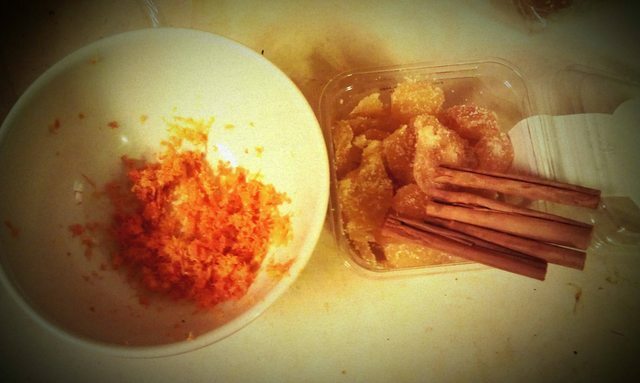 Remove the spice bundle, stir in the crystalized ginger, ground ginger, ground cinnamon, and the orange zest. Let the mixture simmer another 2-3 minutes and then ladle in to jars. 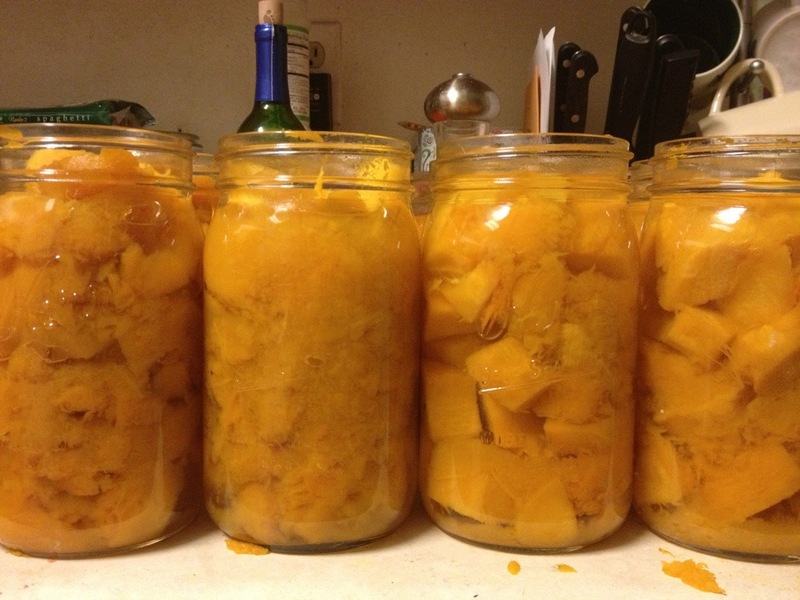 Lets talk about jars for a seconds. 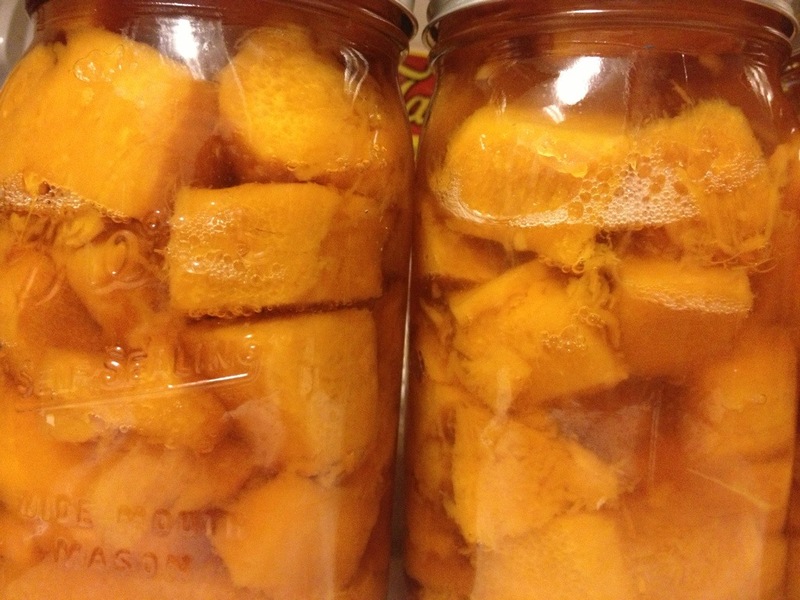 A friend asked me to touch on preparing jars, reusing jars, cleaning jars, etc. When I open the case I take the jars out and remove the lids and rings. The jars get washed, by hand or in a dishwasher. the rings get set aside. 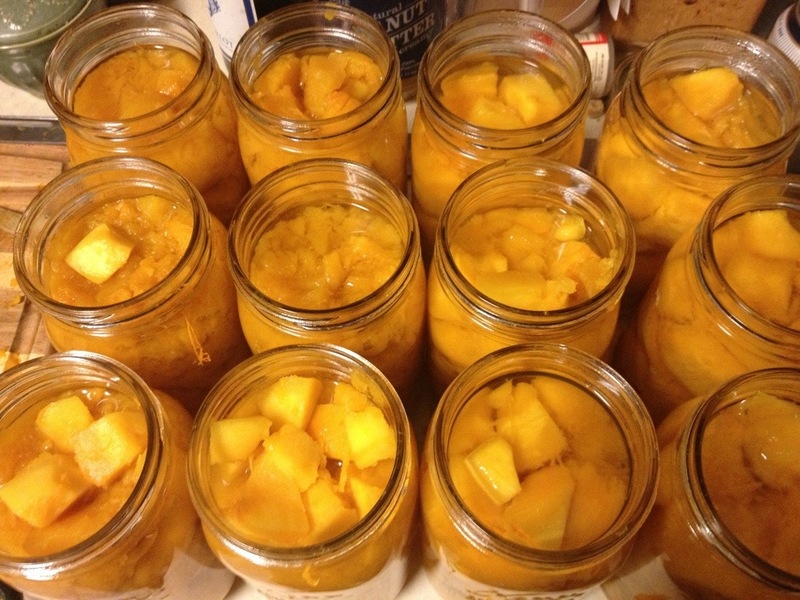 Then, before I start my recipe, I fill my canning pot/pressure cooker with water and place the jars in there. As the water heats to boil, the jars heat with it. 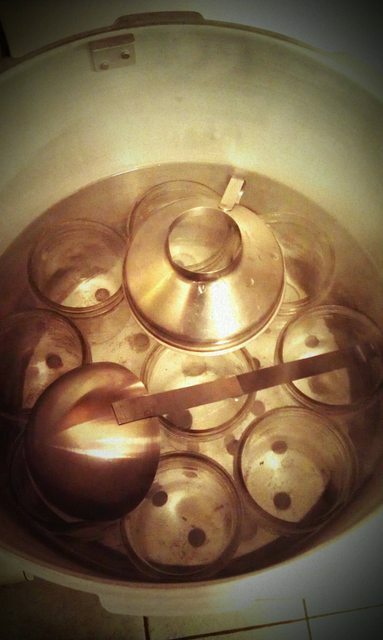 I let the jars boil until I’m ready to start filling them. I also throw my ladle and funnel in the mix too. When I’m ready I pull the jars out (slowly and carefully, since they are full of boiling water) and gently tip out the water back in to the pot. I place the lids in a bowl and use the water from the 1st jar I remove to cover the lids with now, just under boiling temp water. This warms the adhesive compound on the lids and gets a better seal going. Fill the jars with the sauce and leave 1/2″ head space. Put the lids and rings on and finger tighten the rings. 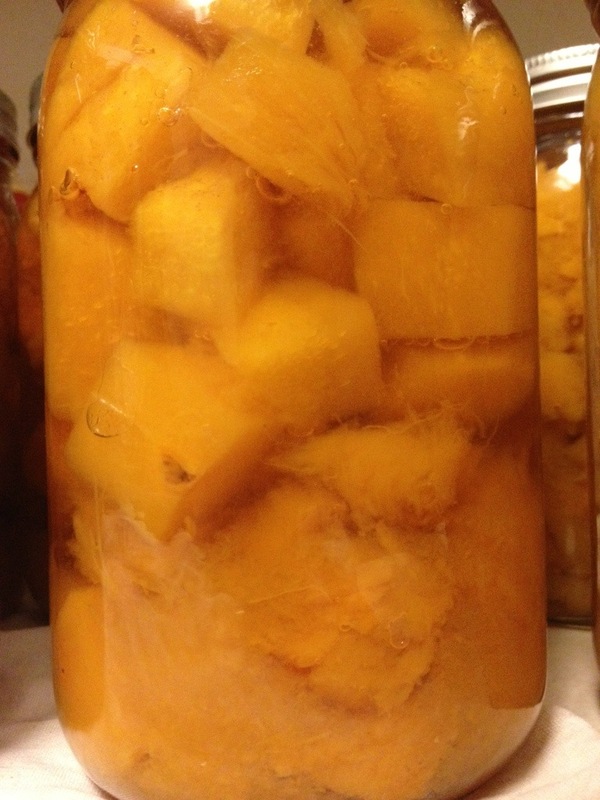 Remember, air needs to escape from the jar to form the eventual vacuum seal needed for preservation. Place the filled jars in your water bath canner, making sure that the jars have at least 2 inches of water covering them. Process for 15 minutes for pints. Using 7 bags of cranberries this made 11 pints of sauce. 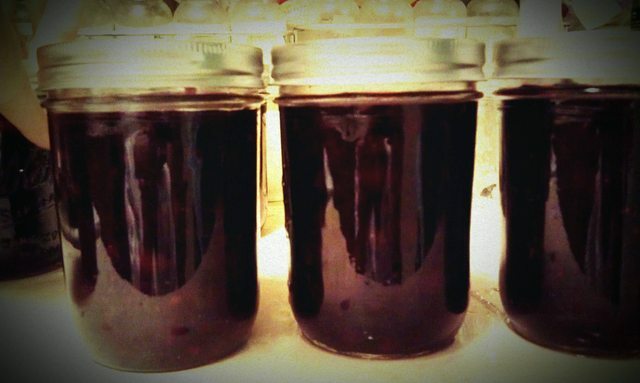 And now we can enjoy cranberry sauce year round.